A Hartford police sergeant is accused of using cocaine and alcohol while on the job and stealing equipment from the department. Sgt. Justin Torniero, 34, was arrested Tuesday and charged with first- and second-degree larceny. According to police, on March 14 multiple agencies executed a search warrant at a Farmington home related to illegal narcotics. During the raid, authorities discovered the suspect had Hartford Police Department issued equipment, including a ballistic vest and mountain bicycle. The department’s Internal Affairs Division began investigating. Investigators determined that Torniero stole the equipment and provided it to the suspect, police said. 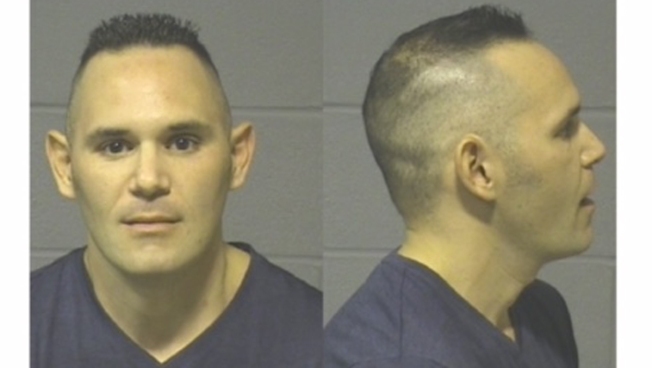 Police also believe that Torniero would drive a Hartford Police Department vehicle to that Farmington home while in uniform and used cocaine and alcohol. Torniero was already suspended without pay due to a previous arrest in December. In that case he is accused of using a police vehicle without permission while he was on leave. Torniero was held on a $175,000 bond and is due in court on Wednesday. Hartford City Council Minority Leader Wildaliz Bermúdez said the council was shocked by the arrest because the police department did not reach out to them about it. "We absolutely give the police department credit for arresting this individual, at the same token given the situation that we're in and the times we're in we would have loved to have received information," she said.